It’s easy to take being a human being for granted. We absorb information through all of our senses all the time, and all that data passes into an incredibly intelligent and efficient brain that makes sense of that data and interprets to us whether there’s danger involved or not. For example, if the room is filling with smoke, we’ll not only be able to see that smoke, we’ll also be able to smell it, see the flames, and feel the heat of the fire. Your smoke detector, on the other hand, can only sense one thing, smoke. It can’t distinguish between a real fire and burnt popcorn. It’ll send its shrill beeps through the air either way, leaving the humans in the room to interpret the data and act accordingly. 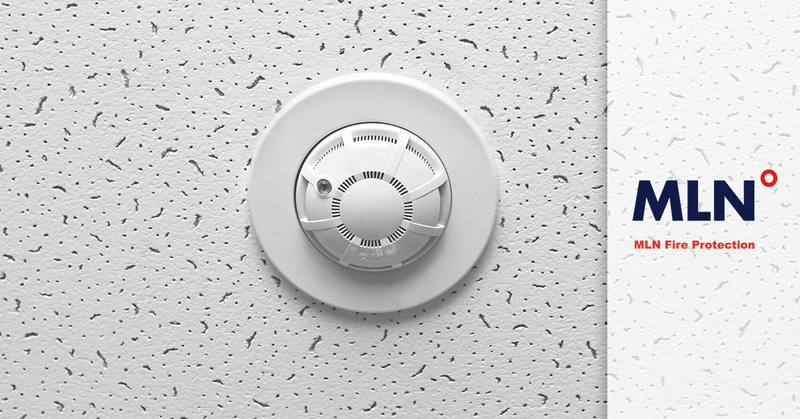 Because smoke detectors can only give such a limited profile of what’s going on and whether it’s an emergency, there’s a need to provide your building with extra “senses.” Heat detectors are a valuable addition to give facilities managers an extra layer of data in their fire protection strategy. Working together with smoke detectors, heat detectors provide a valuable level of fire protection, and both have strengths in different contexts. Heat detectors are small sensors, similar in shape and size to smoke detectors, that you can mount in a room. They contain a heat-sensitive element and will sound an alarm if there is excessive heat or rapidly rising heat in the room. How Do Heat Detectors Work? Heat detectors are triggered by an increase in temperature, and in simple terms, they can tell that it’s hot when the material in the sensor changes from a solid to a liquid. There are two main types of heat detectors, “Rate of Rise” and “Fixed Temperature” models. Fixed temperature heat detectors are more common and sound an alarm when the heat in the room reaches a certain threshold. For example, the heat detector will start to sound an alarm when the temperature in the room reaches 135 degrees Fahrenheit. The lower the temperature threshold, the larger the margin of safety and reaction time you’ll have once the alarm sounds. These units typically only work once and must be replaced if they are ever activated. Rate of rise heat detectors work by triggering an alarm whenever the speed of temperature rise exceeds a certain rate. For instance, when the temperature rises at the rate of 15 degrees per minute or more, the alarm will sound. No matter how cold the room is, if it is heating up quickly, the rate of rise heat detector won’t wait until it hits a certain high temperature; it will sound the alarm without needing to reach a minimum temperature threshold. You can get some models that incorporate both types of sensor into one unit, giving you the strengths of each type. Look for a unit that will not only make a piercing alarm sound but that will also communicate with your security system’s main control panel to alert you of an alarm event and pinpoint its location. Heat detectors are a cost-effective and helpful component of your fire protection system, but they shouldn’t work alone. Just like you wouldn’t want to be without four of your five senses, you shouldn’t depend on one single component of your fire protection system to tell you everything you need to know. The main thing to know about heat detectors is that they are more effective at protecting property than people’s lives. Smoke claims more lives and causes more injury than direct burns, but in rooms where people are less likely to frequent, heat detectors can be a quick method of detecting a fire. Where Should I Install Heat Detectors? Heat detectors can be installed anywhere, but the best places for them are rooms where people are unlikely to frequent, like warehouses, laundry rooms, garages, or attics. Also, anywhere that smoke detectors don’t work, such as rooms that are smoky under normal conditions, can benefit from having a heat detector in place. Rooms that are not good candidates for heat detectors are ones where high temperatures or frequent changes in temperature are common and don’t represent a threat. Our fire protection experts at MLN Fire can advise you on the best way to protect your facility. 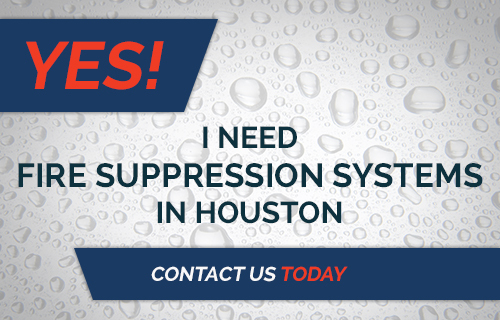 We offer installation, inspection, repair, and maintenance of all your fire protection equipment, including heat detectors, sprinkler systems, water tank solutions, and much more. Contact us today for a quote.